For every Lance Armstrong and Jesse Owens who beat the odds and give us heartwarming and unforgettable moments, there are hundreds of athletes who do not come out on top. There are the guys who didn’t quite come back, the players who disgraced their sports and disgusted the world. This list is the antithesis of The Greatest Sports Moments of All Time. These are the moments that made your scream at your TV in anguish, pain, sympathy and disgust; the cheaters coming out on top, the career ending injuries, the lack of sportsmanship, and the scandals that left us all with a sour taste in our mouths. 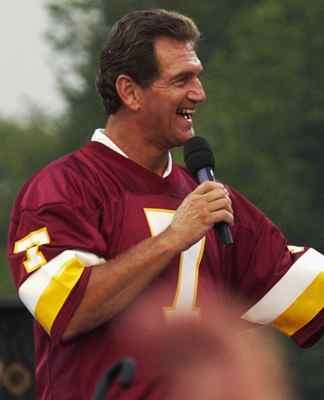 In 1985, after two Super Bowl appearances and one win, an MVP award, and having set most records for the quarterback position within the Washington Redskin’s organization, Joe Theismann was playing a Monday night game against their division rival, New York Giants. On an attempted flea flicker play, the Giants defense blitzed and Lawrence Taylor sacked Theismann for a loss of yards. Taylor immediately jumped to his feet and signaled for the Redskins to send out medical personal. Theismann’s leg was broken midway between the knee and ankle, breaking both the fibula and tibia. A reverse-angle replay showed the extent of the damage, as viewers saw Theismann’s lower shin lying flat on the ground, and the upper half sticking up at a 45 degree angle. The video is not for the feint of heart. To survive cancer is a miraculous event. To return to your job on national television after surviving cancer is something else entirely. 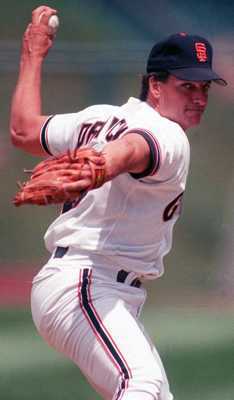 Dave Dravecky was an outstanding pitcher for the San Francisco Giants when doctors discovered a tumor on his arm. He had it removed and, after recovery time, he appeared to be healthy again. After some rehab he seemed ready to return to the mound, and did so on August 10, 1989. He pitched 8 solid innings and got the win in what appeared to be the feel good story for every baseball fan. In his second start a few days later, Dravecky went five innings until, in the sixth, his humerus bone snapped in half while throwing a pitch and leaving him in agonizing pain rolling on the ground in anguish. His career was ended and two years later his arm was amputated. The story was one that many were following, a cancer patient beating the odds, and no one had expected such a dramatic and painful end to a great career. 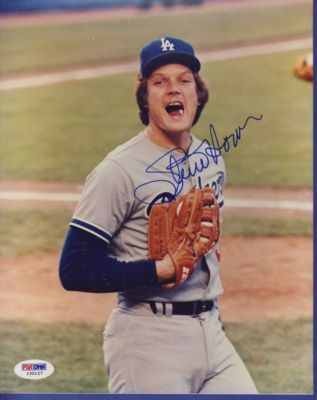 Steve Howe was a relief pitcher for the Los Angeles Dodgers and the New York Yankees. During his seven year career he was suspended seven times for substance abuse by Major League Baseball. He spent years in rehab attempting to control both his cocaine addiction and alcoholism. In 1992, he was offered a new contract with the Yankees and seemed to be under control, until his continuing use of cocaine got him banned for life by the MLB. Fans seemed happy with this outcome, until he successfully appealed the ban and in 1994 played in 40 games, recording a 1.80 ERA. After a few struggling seasons he was released and retired from baseball in 1997. His 1989 autobiography stated that he had overcome his problems with a commitment to evangelical Christianity. In 2006 he was killed in a car accident and the autopsy revealed a large amount of methamphetamine in his body. Howe became the standard story for athletes getting preferential treatment by the judicial system. When thinking of world class sprinters today, most people don’t think about Canada. However, in the 1980s one of the biggest names in running was Ben Johnson. 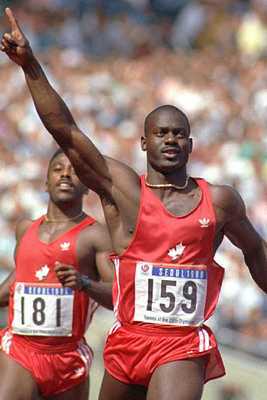 In 1987 he set the world record for the 100m and became one of the most endorsed and beloved athletes in Canada. 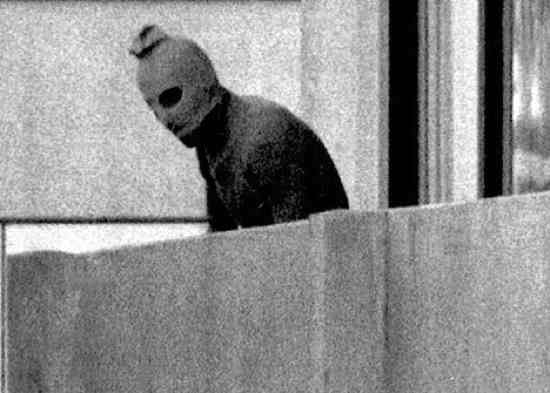 At the ’88 Olympics Johnson lowered his own world record to 9.79 seconds, took the gold medal and became an international hero. He only held the medal for three days before his urine test came back positive for steroids. After an investigation he was stripped of all records and his gold medal. Johnson attempted a comeback in 1991 but once again tested positive for steroids. In 1989, Clint Malarchuk was playing goalie for the Buffalo Sabers in a game against the St. Louis Blues. Two players skated into each other, crashed into the net and Malarchuk. Steve Tuttle’s skate caught Malarchuk’s throat and slit his jugular vein. 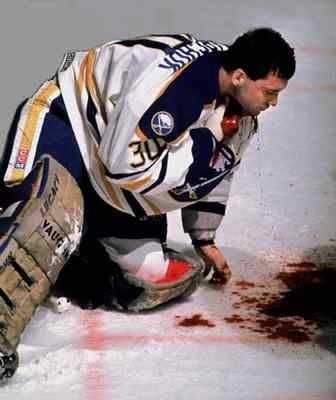 Pools of blood collected on the ice while Malarchuk skated off to the locker room with the assistance of trainers and referees. He said later that he was thinking that he was going to die, but wanted to get off the ice because his mom was watching the game on TV and he didn’t want her to see him die. He asked for a priest and someone to call his mom and say that he loved her. A quick thinking trainer, Jim Pizzutelli reached into Malarchuk’s neck and pinched the vein shut. After doctors arrived, it took them 90 minutes and 300 stitches to repair his neck. There were reports of fans fainting at the sight of the injury, two of them suffering heart attacks. At least three players vomited on the ice after witnessing the incident. Anyone unfamiliar with the history of baseball would assume that the all-time leader in hits would be an automatic hall of fame candidate. 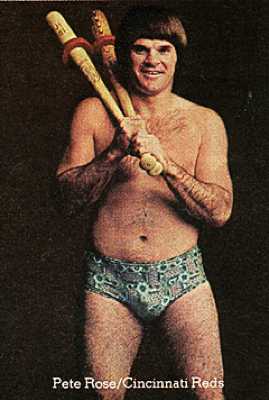 Pete Rose has a career .303 batting average and over 4,200 hits. He is a three time World Series champion and a 17 time all-star. And yet, he will never be elected to the hall of fame. In 1989, it was revealed to the world that Rose had bet on baseball. He denied it publicly for years, but the evidence piled up. The Dowd Report about the scandal said that Rose never bet against the team he was managing, the Cincinnati Reds, but the damage had been done. Rose finally admitted publicly that he had bet on baseball in his 2004 book, My Prison Without Bars. In 1998, Mark McGwire and Sammy Sosa put on one of the best shows in the history of baseball. They battled all season, piling on the homeruns in a chase that would leave them in the record books. They combined for 136 homeruns and broke the all-time record for homeruns in a season. The two had “saved” baseball, drawing in huge numbers of fans who had been alienated by the game. And then in 2005, Jose Canseco released a book full of accusations about steroids; including saying he had personally injected McGwire with the substances. 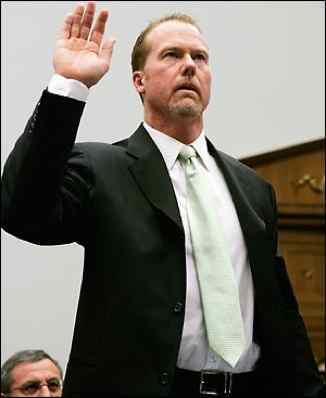 McGwire denied the accusations publicly, and finally had his chance to set the record straight in front of Congress. Instead he pleaded the Fifth. This disgusting scandal is one of the worst in sports history and ongoing still today. As an Olympic diver, Greg Louganis hit his head on the board during a dive and fell into the water. He got out of the pool, was stitched up by trainers and went back onto the board to win his gold medal. For years people thought of it as a great comeback and a touching story for everyone in sports. In 1995, 7 years after the incident, Louganis announced publicly that he had AIDS and had known about it since before the 1988 Olympics. The media, fans and fellow divers were disgusted by the idea that Louganis would knowingly put all of them at risk, and then not tell anyone that he had tested positive for AIDS, even after his blood had gotten into the pool. He did not even think to tell the trainer who treated him on site. Instead, Louganis was too selfish to tell the truth and put everyone who entered that pool after him at risk. The Chicago White Sox, in 1919, were the American League Champions and were headed to the World Series to face the Cincinnati Reds. The entire team had a resentment of the owner, who was known for benching players close to achieving bonuses and not paying players what they deserve. First baseman, Arnold Gandil, came up with a scheme to make the players the money they wanted. With help from a few close friends and gamblers, he convinced several players to purposely lose the series. Eight players were involved in the fix, and during game eight of the nine game series, the Reds won it all. During 1920 a Chicago Grand Jury investigated the case. After evidence went missing the case was dropped, but Major League Baseball decided to suspend all eight players for life. The scandal shook the nation and momentarily destroyed the integrity of the game. 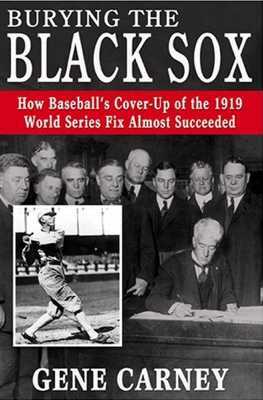 One legend says that a small boy, talking to his idol Joe Jackson outside the courthouse, innocently spoke the thoughts of the nation, “Say it ain’t so, Joe.” You can buy the book Burying the Black Sox here. On May 29, 1985, Heysel Stadium in Belgium was set to host the European Cup Final, featuring Liverpool vs. Juventus. 60,000 fans arrived at the stadium, crowding in, many managing to sneak by without tickets. The stadium had a large wire fence to separate the fans of the two teams. An hour before kick-off the fans began throwing stones and trash over the fence at the opposing fans. A group of Liverpool supporters scaled the fence in an effort to intimidate the Juventus fans. The fans began to push back against the crowd in an attempt to escape from the Liverpool fans. 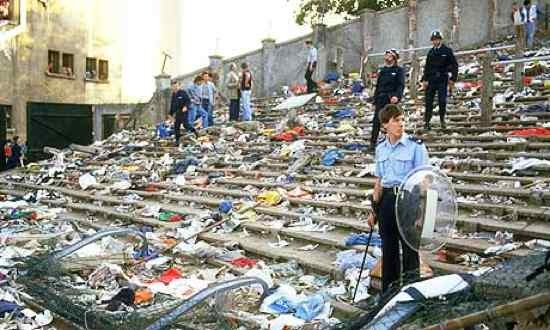 Unfortunately the stadium was in bad shape and a perimeter wall collapsed under the pressure of fleeing fans. 39 people were killed and 600 injured. Some semblance of order was established and the game was played despite the incident. Juventus won the game 1-0. Afterwards, the Liverpool fans were blamed and English club teams were banned from international competition for five years. What will you remember from the 2006 World Cup? 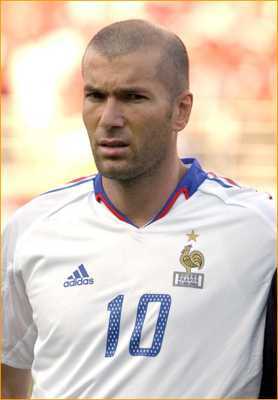 How about from the career of Zinedine Zidane? If you’re not a particularly devout fan of soccer, it is just one incident. In the 110th minute of play of the final game of the World Cup, France and Italy were tied 1-1. When Italian player Marco Materazzi made choice comments about Zidane’s sister, Zidane turned around and rammed his head into Materazzi’s chest. He received a red card and left the field of play, while Italy went on to win the game in penalties. Zidane retired from soccer, leaving himself with a disgraced legacy and his country without the World Cup title. 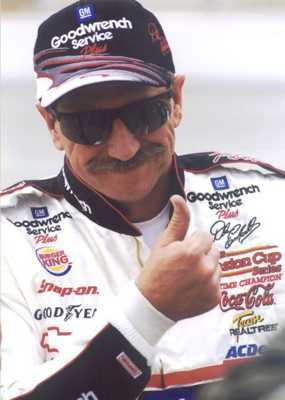 The most controversial NASCAR driver of all time, Dale Earnhardt, was a 7 time champion and “The Intimidator”. He would fight for every race and is remembered as one of the greatest ever. In 2001, he went into the final turn of the Daytona 500 in 3rd place. He fended off Sterling Marlin momentarily, until his car was tapped and careened head first into the outside wall at 150 mph. Earnhardt’s neck snapped when his entire body was jolted and the blow to his head on the steering wheel killed him on impact. It was a sad day and no one even considered celebrating Michael Waltrip’s long awaited victory. No fan will ever forget Kenny Schrader leaping out of his car, looking in the window, and immediately signaling for the paramedics. 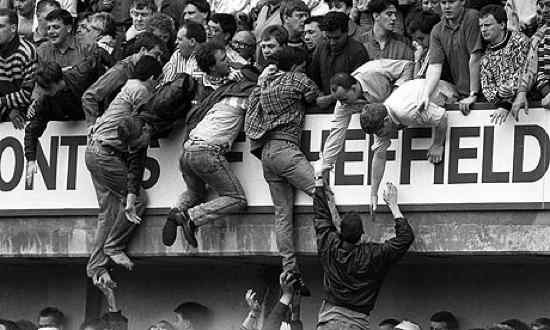 During a 1989 FA Cup semi-final match between Liverpool and Nottingham Forest ninety-six people were killed during a human crush. The tragedy began initially because of a car accident on the main road leading to the stadium. Thousands of fans were running late for the match because of the traffic. When they arrived a bottle-neck effect occurred because people were showing up quicker then the turnstiles would allow them to enter the stadium. Cops decided to open an exit in order to get the fans in quicker, but this caused overcrowding in one area of the stadium. Fans in the front of the stands were pushed against the fence separating them from the field. The referees stopped the game only 6 minutes in after their attention was called to fans climbing the fences to avoid being crushed. One gate was forced open and most of the fence eventually collapsed. The 700+ injured fans overwhelmed the police and medical personal. Forty-four ambulances arrived on site, but none were able to enter the stadium. Most of the blame was eventually placed on poor police control and a terrible stadium design. In 1972, the Stella Maris College Rugby team left Uruguay for a match in Chile. Their plane was grounded for one day due to weather, and then ventured out to fly over the Andes. 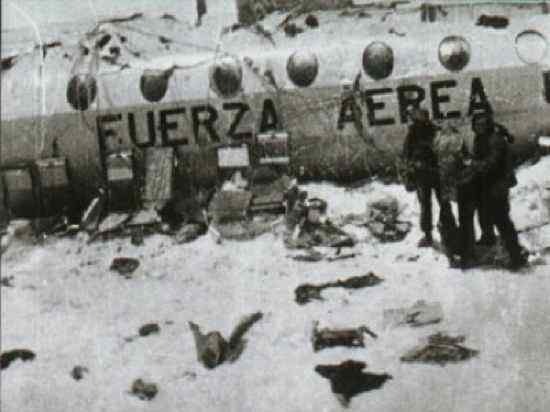 The plane crashed and 33 people survived. 5 died shortly after, and 8 more died after an avalanche. With meager supplies the survivors decided together that their only option for food was to eat the flesh of their fallen comrades. Two months after the crash three of the survivors set out to try and find rescue. Several days into their hike down to a valley, they followed a river down to the edge of the snow and finally found some Chilean huesos who helped guide them to safety. They got help and a helicopter crew was sent in to rescue the survivors. 16 people survived the ordeal. If you are wanting something a little more heartwarming after reading this list, check out the 15 Greatest Sports Moments of All Time.